I like how the ‘au gratin’ adds culinary weight to the recipe but what I love about it is it’s simplicity and the toss-it-together-and-throw-in-the-oven attitude. 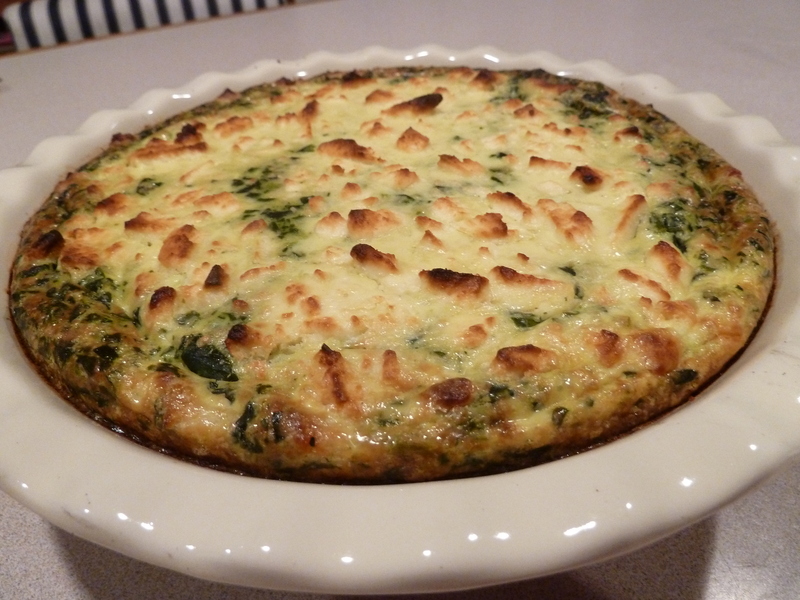 It’s fun you can enjoy this dish, that reminds you of spinach pie, without using crust of phyllo. I found this recipe at kalofagas.ca, I tried it, I loved it. 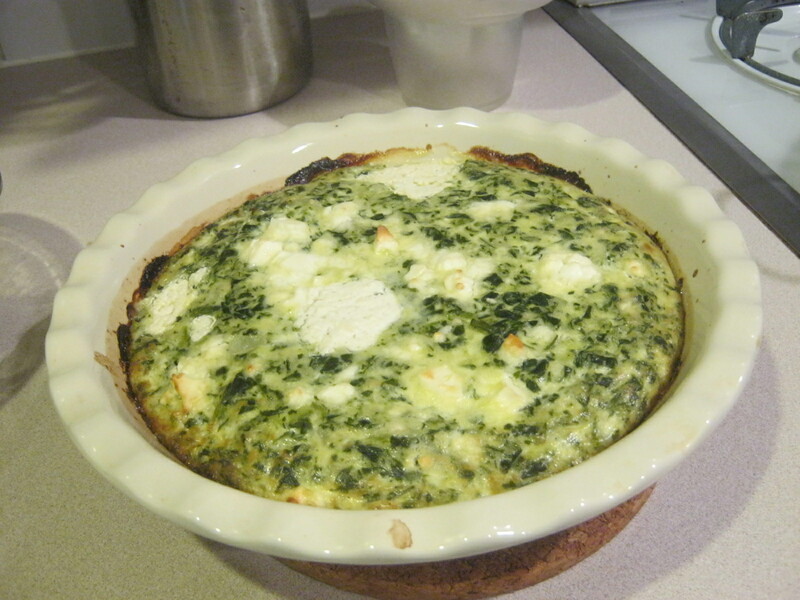 The round white spots on top that you see in the photo are spoonfuls of leftover cottage cheese. If the feta you use is too salty, the cottage cheese will balance it. Otherwise, you don’t need it. I modified the recipe a bit, substituting “graviera” with Parmesan and fresh spinach with frozen. How to make: Saute the onions. Add the frozen spinach and cook for a few minutes until it’s soft. Stir in the flour and milk. Then, add the grated Parmesan, eggs, and nutmeg. Top the dish with the feta cheese. For a crustier top you could sprinkle some bread crumbs on top. I didn’t this time. Cook at pre-heated oven 375F/190C for about 40 minutes or until it becomes golden brown. Post-post comment: Here’s another photo of the same recipe. In this one, there’s only crumbled feta on top and left a little longer to cook. Sounds easy and looks great! I’m gonna try it!!!! Thanks! Let me know how you liked it! Also, you must try the “Express zucchini dish”. Same idea, excellent taste. How many ounces of spinach was the one bag of frozen?